A discussion about what to do when your Serve leaves you. Thank you so much Jorge for this tip, I had to use this emergency serve in my Districts championships match, I did not win the match but everyone that saw me do this congratulated me after the match. It is so much better to do this play out the point rather than just double fault. Thanks. I have never seen this idea before. So simple, but good way to interrupt that awful double faulting. I will use it in my practice with the 2.0s high school team girls, it is a good starting point. yes… I teach it for emergencies AND also for new beginner players so they can quickly start the point and PLAY. you have great solutions for many problems! I agree whole heartedly, that getting the point started is way better then giving a point way out of pride! Thanks, Jorge – this is definitely news that most of us can occasionally use! I love your videos. You are such a great communicator. This is useful information to let your students know BEFORE they come up against this situation. In my mind, I am thinking that the one-one (1-1) swing ratio is good to practice and when they see that they are making it in 10 out of 10 times, then we can have them try it with the continental grip. Most of my students are recreation players, (I’m thinking Junior students) and they dislike the continental grip. This is a good modification for them to feel the pronation of the wrist as they make contact with the ball. Thanks again for sharing your gems with us Jorge. Have a great day and see you on the courts of the world. 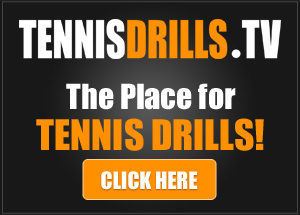 Are you recommending a continental or eastern forehand grip? And what would be the role of pronation, if any, on this abbreviated motion. Thanks Jorge and I really appreciate the way that you break the game down into its most fundamental components. I start them out with the continents grip, but will let him switch to the forehand grip if need be. I am glad that I am not crazy for showing my players this. Jorge, thanks for the vids. No doubts you will save from double faulting but can you save yourselves from your opponent not attacking your serve you are doing for harm to yourself by boosting your opponent confidence I do not agree with this video . Impal, we accept all view points here… My thoughts are… if you double fault your opponent wins 100% of the points. If yo get the serve in they still have to make a good shot to win the point. It might be easier for them, but never as easy as receiving a FREE point from a double fault. 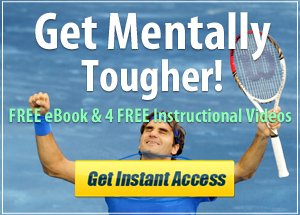 Do you want the player choking up on the racquet when doing this? Choking up is a viable option. I would frst have the player try it in practice because some people do not do it well. What do you think about club players using a sidearm motion, serving like a teaching pro feeds? If that works for them in practice I would go for it. Anything is better than continuously double faulting and giving away points.